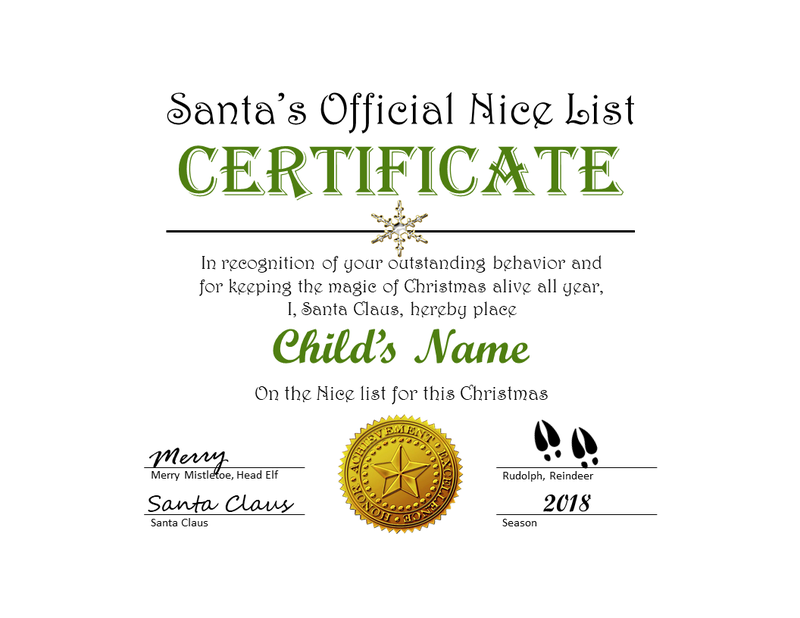 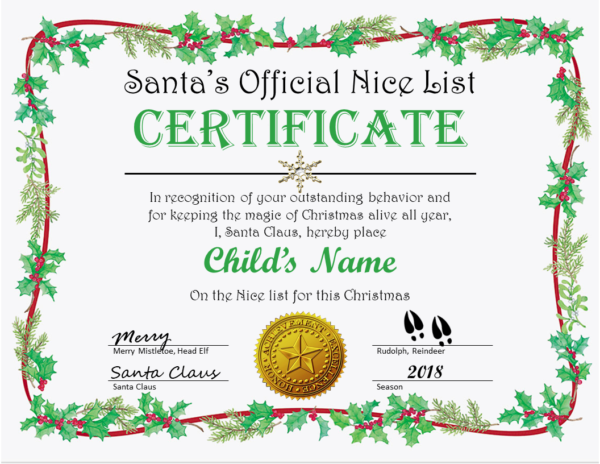 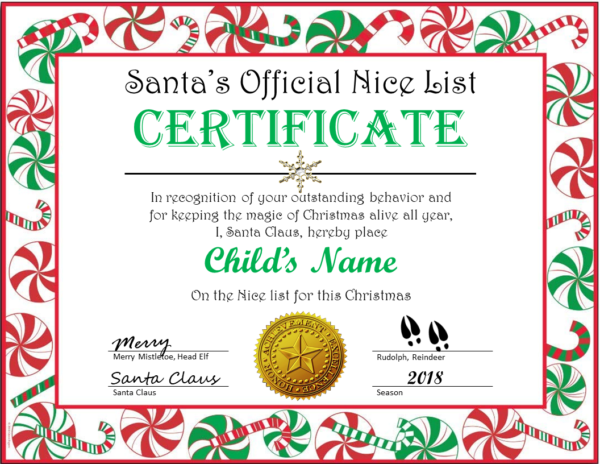 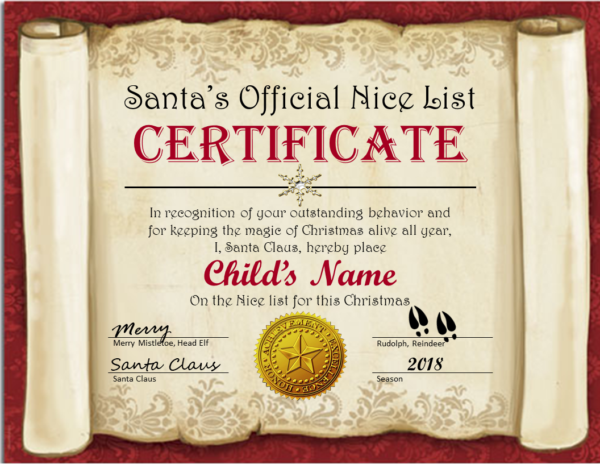 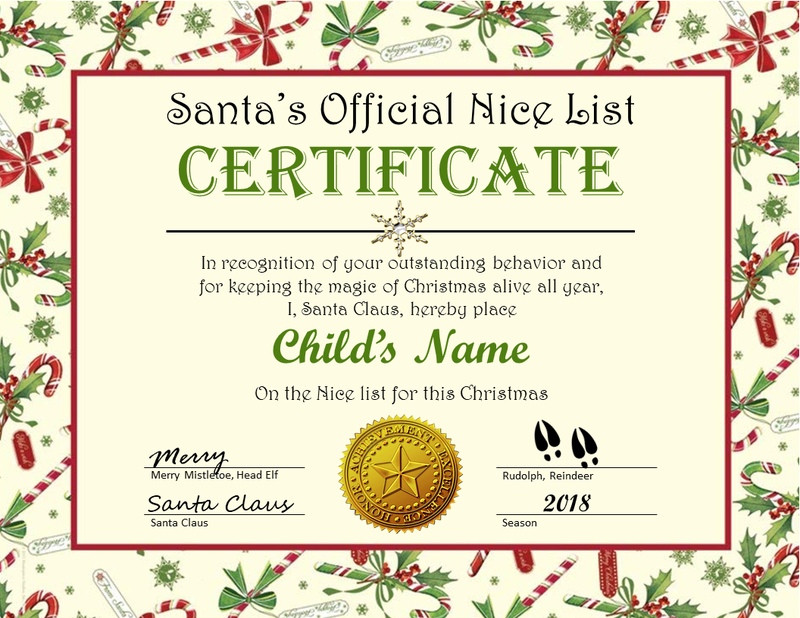 Imagine your child’s surprise and delight at receiving one of our NEW keepsake “Santa’s Official Nice List” certificates. It’s sure to be a treasured keepsake, and keep them on their best behavior for years to come. Each certificate is personalized with your child’s name, features a gold foil seal, and is signed by Santa himself, along with his head elf and Rudolph of course!